Most projects were halted, because of financial reasons. The significant drop of oil prices resulted in a budget deficit. The government’s budget relies on the revenues from the oil sector, almost 90% of Iraqi government revenue comes from oil. Despite the recent turmoil, the oil prices have increased with almost a double the prices and the future prospect is to invest the money on Iraq’s infrastructure. The Iraqi Ministry of Youth and sports wants to have at least eight stadiums before 2018. 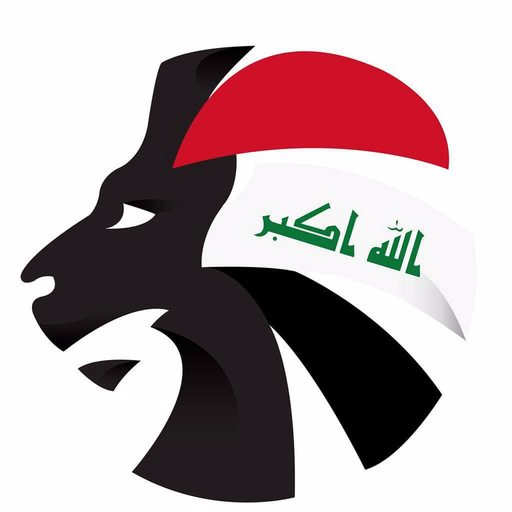 According to many Iraqi citizens this is feasible, as the Minister of Youth and Sports is very transparent in terms of communicating progress through social media channels. Personally, I would advise all ministers to follow the footsteps of the current Minister of Youth and Sport in terms of transparency, as he is gaining mutual trust. People may ask; Why should you not invest this money in social infrastructure, on welfare, business development etc. Which is not the right way to think about this topic, and I will tell you why. 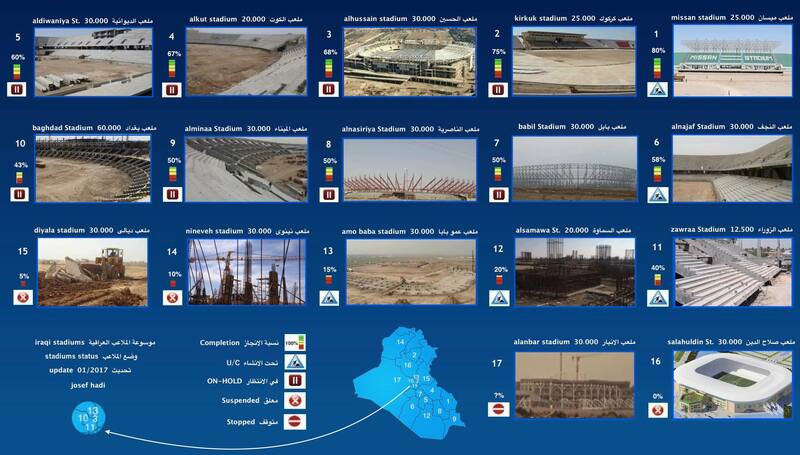 First of all, building stadiums creates many jobs for jobless Iraqis. Jobs like contractors, architects, security etc. Secondly, it changes the rural landscape of Iraq into a more modern society. Last but not least, it will attract business opportunities, because in the future when you have international matches, this will attract many ‘football tourists’ to your country to watch specific games. So, there are some projects going on, hopefully they finish within given schedule. If government’s budget is going to increase, then more projects will be relaunched. Iraqi Ministry of Youth is working on a transparent way to show us the work on a daily basis, hopefully we can support the Ministry so that they can put pressure on Ministry of Finance to relaunch the pending projects.